Preparation work is well underway for the Archdiocese of Wellington’s Synod in September this year. The committee has been progressing decisions and actions and the first update has been sent to parish leaders. The Synod topics are primarily drawn from the directions Pope Francis has been putting before us. Topics are: the peripheries of society; our own peripheries; refugees and migrants; care for creation; ecumenism; accompanying the young; marriage and family. There are also two topics that reflect particular needs in the Archdiocese: leadership; and bicultural and ethnic diversity. These topics will be the subject of the diocese-wide consultation process, which begins on 7 May. Prayer and discernment will be critical factors in the Synod process. 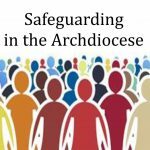 At the Ministry Formation Day on 28 February Fr Alan Roberts will be discussing his findings on how the committee can provide formation in discernment before the Synod. Synod Committee members are: Cardinal John Dew; Sharron Cole (Chair); Bernadette Murfitt; Allan Gierran; Mary-Ann Greaney; Msgr Gerard Burns; Isbella McCafferty; Mika Teofilo; Rangimoeroa Waikari-Panapa; Fr Dennis Nacorda; David Sullivan; Shane Dinnan; Deb Lawson; Anne Dickinson. For information contact Anne Dickinson at: a.dickinson@wn.catholic.org.nz; phone (04) 496-1793 or 027 242-9994. 8 March: Information about the number of parish representatives to attend the Synod will be sent out, with criteria for selecting them. 1 May: Parish representatives are to be selected by this date and others attending the Synod will be notified. 7 May: Diocesan-wide consultation process for the Synod begins. 17‒18 May: Clergy Assembly, which will include a section on the Synod. 20 May: South Island Synod meeting with Cardinal John (venue to be notified). People selected to attend the Synod will attend. All in the Archdiocese are invited. 27 May: North Island Synod meeting with Cardinal John at Viard College. People selected to attend the Synod will attend. All in the Archdiocese are invited. 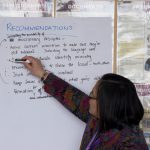 23 June: Deadline for input on Synod consultation document. 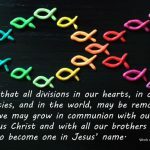 28 August: Synod information sent to participants by this date.